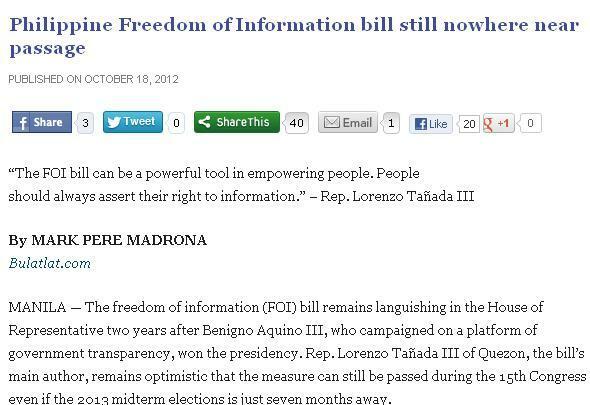 This entry was posted on Sunday, October 28th, 2012 at 1:11 am	and tagged with benigno aquino III, freedom of information - 1987 constitution, Freedom of Information Bill - Philippines, freedom of information bill 2012, freedom of information bill philippines pros and cons, Lorenzo Tañada III, philippine freedom of information bill and posted in commentary, journalism, philippines, politics. You can follow any responses to this entry through the RSS 2.0 feed. 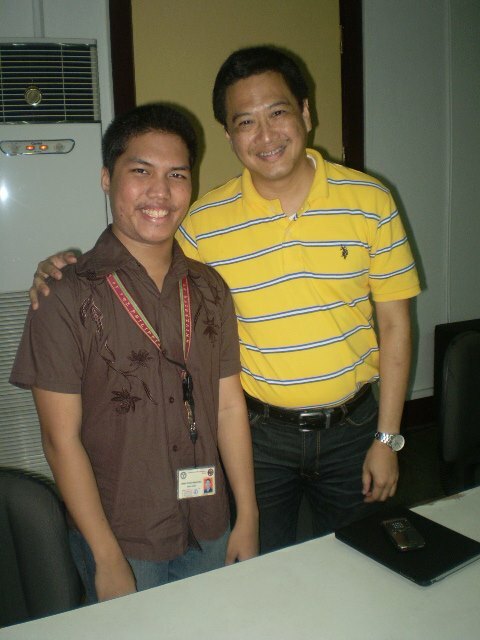 « Cybercrime Law – repressive state apparatus? 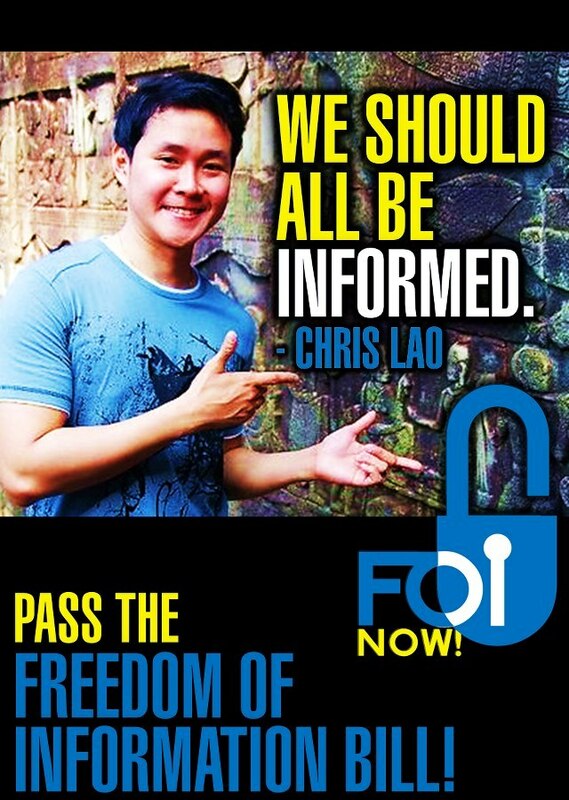 We must enact the FOI Bill. If our lawmakers are true to their goal of ending poverty and fighting corruption, let the FOI Bill be the measure of their intentions. After all, transparency and accountability are but prerequisites of an ethical leadership. Their action or inaction to pass a bill that will benefit the nation would reasonably define their stand on the right to be informed, and ultimately, the transparency and accountability of the government as a whole.